Research is the intellectual backbone of Wharton People Analytics. We partner with dynamic organizations across a range of industries to understand how character, culture, collaboration, and career paths impact the organization and their employees. Our research studies range from analysis of existing data sources, to carefully designed assessment studies and experiments. This time commitment required for research partnerships varies depending on the scope of the project. The simplest studies might take a few months to a year, while some are many years in the making. The payoff is a set of ideas and interventions that equip organizational leaders, as well as individuals, with well-tested insights into how to achieve their goals. Interested in partnering with Wharton People Analytics? Please complete this contact form. A core promise of people analytics is the ability to be more successful at getting the right people into the right jobs, contributing to organizational effectiveness and individual satisfaction. This research stream is focused on understanding the structure and outcome of modern careers, as well as the science of staffing. How can we create workplaces where people can help one another without sacrificing their success along the way? What can leaders and managers do to drive the performance of their organizations without driving their people into the ground? And how can organizations reap the benefits of productive collaboration without succumbing to its many costs and pitfalls? WPA’s research in these areas seeks to find new ways to understand and assess culture, and then to find the practices and tools that will promote cultures of productive and rewarding generosity. In conjunction with the applied work of the People Lab, our research in this area identifies and creates effective new methodologies for assessment. We work with individuals, organizations, and professional sports teams to advance our understanding of how to cultivate gratitude, grit, curiosity, and humility, as well as the role of those attributes in improving individual and team performance, and leadership effectiveness. The People lab is a collaborative effort between the McNulty Leadership Program and Wharton People Analytics to enable individuals and organizations to reach their potential. We will do this by helping people identify and develop qualities vital to their long-term success. We aim to be the gold standard for scientifically grounded assessments and development plans. 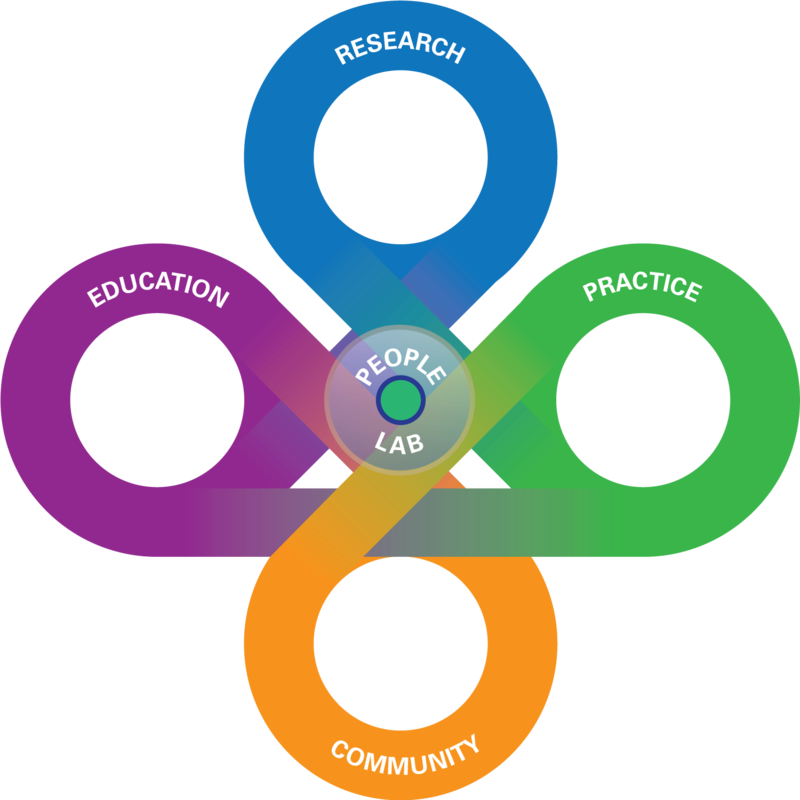 The People Lab will evolve as technology, science, and organizational needs change. It is a platform that will be continuously pushed forward precisely because it resides at the intersection of science and practice. We use the scientific method to test promising interventions tailored for the specific organization and analyzes the results. We create instruments to concretely measure the organization’s outcomes of interest and analyzes the results. We analyze data that the organization has already collected. Applicant tracking platform: We are testing ways of sharing feedback with rejected job applicants in order to improve applicant reactions and subsequent job search behaviors. Investment management company/ Fitness company: We are developing assessments to measure motivation and personality factors that predict future job performance. Multiple organizations / industries: We are launching a research project to understand how workers build careers in contemporary organizations, and what firms can do to make those careers work better both for the firms and their employees. Professional services firm: We are testing strategies to increase individual engagement and reduce burnout. We are also testing the relationship between motivation and time-off utilization and effectiveness. Education nonprofit: We are examining the relationship between the way teachers are motivated to manage helping situations and key work behaviors and outcomes, such as proactivity on core job tasks, subsequent student achievement, and teacher retention. Transportation company: We are studying how participation in employee recognition programs relates to engagement and job performance. Professional services firm: We have tested interventions to promote inclusive attitudes and day-to-day work behaviors at a leading professional services firm. International medical humanitarian organization: We are identifying factors that affect the retention and promotion of staff and volunteers. Healthcare company: We have compared the impact of hiring workers versus filling jobs from within with a focus on managerial workers. We aimed to understand which talent management strategies provide the highest pay off, and under what circumstances. International health nonprofit: We have tested multiple methods to find a way of measuring key work styles that predict performance in a year-long fellowship program. In order to protect the integrity of our research, we are honoring our partners’ requests for anonymity. Research is conducted in partnership with organizations who share our commitment to advancing evidence-based work places.